On April 26, 1986, Unit Four of the Chernobyl nuclear reactor exploded in then Soviet Ukraine. More than 3.5 million people in Ukraine alone, not to mention many citizens of surrounding countries, are still suffering the effects. Life Exposed is the first book to comprehensively examine the vexed political, scientific, and social circumstances that followed the disaster. Tracing the story from an initial lack of disclosure to post-Soviet democratizing attempts to compensate sufferers, Adriana Petryna uses anthropological tools to take us into a world whose social realities are far more immediate and stark than those described by policymakers and scientists. She asks: What happens to politics when state officials fail to inform their fellow citizens of real threats to life? What are the moral and political consequences of remedies available in the wake of technological disasters?Through extensive research in state institutions, clinics, laboratories, and with affected families and workers of the so-called Zone, Petryna illustrates how the event and its aftermath have not only shaped the course of an independent nation but have made health a negotiated realm of entitlement. She tracks the emergence of a "biological citizenship" in which assaults on health become the coinage through which sufferers stake claims for biomedical resources, social equity, and human rights. 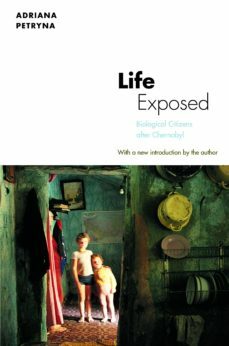 Life Exposed provides an anthropological framework for understanding the politics of emergent democracies, the nature of citizenship claims, and everyday forms of survival as they are interwoven with the profound changes that accompanied the collapse of the Soviet Union.